As for fencing, we specialize in aluminum fence jobs, but we also build custom wood, vinyl, chain link, farm fencing, wrought iron and commercial fences. While it may be instinctual to think that all fencing jobs are created equal, no matter what company you hire, we guarantee that none will produce the quality craftsmanship and care that we do. 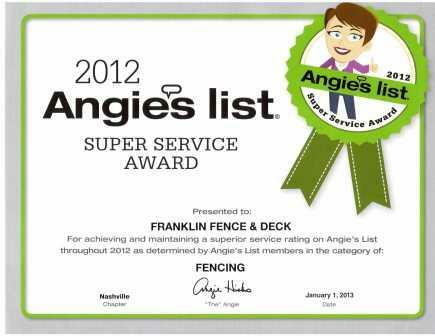 Additionally, Franklin Fence and Deck specializes in arbors, gazebos and screened porches for your backyard and property. At Franklin Fence and Deck, we work by the simple principle of doing honest and quality work for a reasonable and affordable price. And of course, we ALWAYS aim to surpass any and all expectations that a customer may have. We firmly believe that open communication and a good working relationship between our staff and customers is the key to building a truly remarkable finished product. Our first priority will be to help you decide on exactly what type of project you are looking for, then we will deliver on that wish. 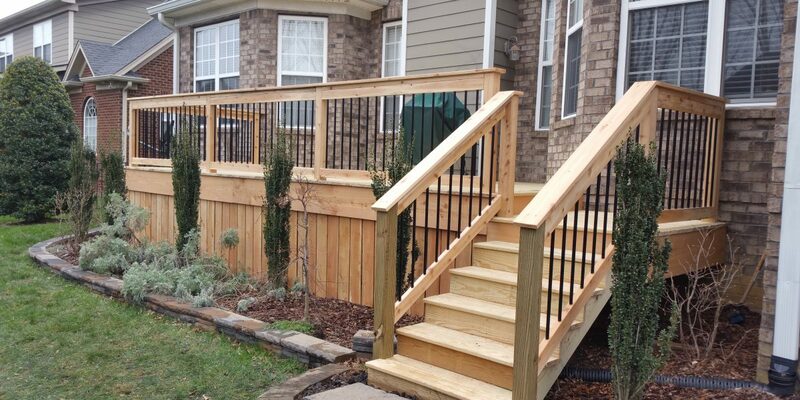 For over 28 years, our company has been contracting fences and decks in Franklin, Brentwood and Nashville, TN. In such time, we have worked with so many great customers; in fact, the thousands of customers that we have worked with over the years often come back and tell us how well our work is holding up. We would like to share that same experience and relationship with you!